BUSINESS OPPORTUNITY! Government Hill restaurant in Opportunity Zone near Fort Sam gate, Grayson Street, and the Pearl. Includes adjacent parking lot at 1111 Mason. Seating for 40. All furniture, fixtures, and equipment convey. Part of building was recently carved out for a barber shop. Seller has made upgrades, including recent 5-ton AC and foundation repair. Land total 0.1677 AC. Main building about 2,392 SF. 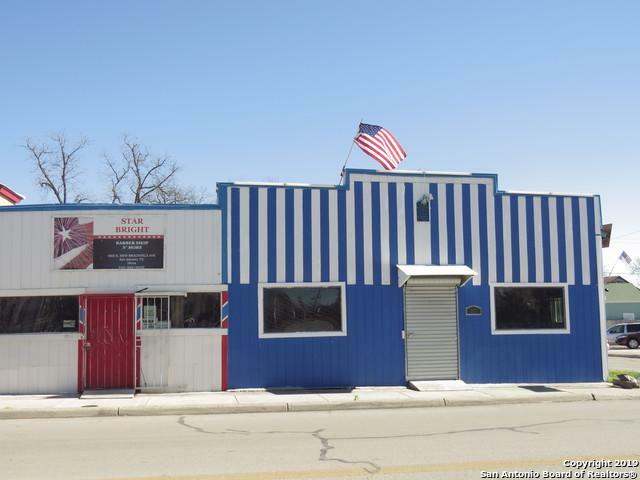 Per seller, 985 SF drive-through storage with 2 rollup doors was added about 5 years ago.